Call Jim’s Mowing & Gardening on 310-5467 or Book Online 24/7 for local power washing and high pressure cleaning of driveways, fences, weatherboards, brick, paving and more. Give your property a thorough wash and you will be thrilled with how it will be revived. The cost of power washing or high pressure cleaning will depend on the size and shape of the area that needs to be cleaned (eg. single story double story weatherboards), the surface and how dirty and possibly damaged it is; as well as what markings it might have that may require specific chemical cleaning (always environmentally options are our first choice). There is usually economies of scale so that the more areas you do choose to pressure clean; the more cost effective it will be. Our team will arrive on time, and provide you with a written quote for all the pressure cleaning to be completed, before commencing any work. You will know up front what costs you are up for in advance with no surprises. The Jim’s team have the latest in high pressure cleaning equipment and environmentally friendly cleaning solutions. Our team are fully trained, insured and come with the famous Jim’s 100% Satisfaction Guarantee. If you are not completely happy; let us know and we will fix it immediately at no additional cost to you. Jim’s Mowing takes pride in its technologies, its people and its work ethics. We arrive on time; provide a written quote; and super-diligent when power washing your sidewalks, steps and driveways. We can adjust the pressure of water depending on what type of surface you have. We also take into consideration a few other factors before we start working our socks off, literally. All you have to do is to place a call with us and the rest is a piece of cake for you. We understand all your landscaping and power washing needs like no other company. We are British Columbia preferred provider of power washing for all small and large jobs. We specialize in power washing all your outdoor surfaces and we know when it’s time to give your home a thorough wash also. If the sight of a dirty and dusty paths that is yours gives you pain, you are in the right place. Just call us today to blast all the dirt and grime spread over your sidewalks with pressured water. We use a number of advanced equipment to power wash BC sidewalks. 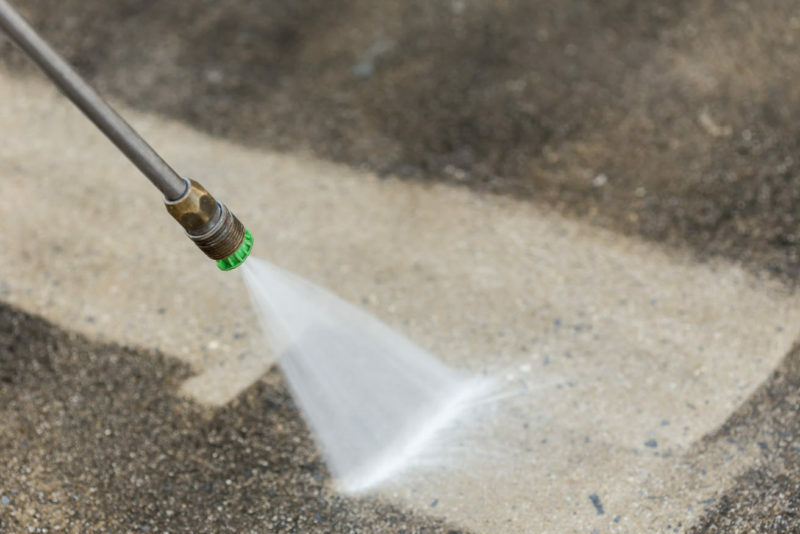 You know sprinkling water on your driveway does not work that well and the only way to fight away dust and dirt is to give your driveway a complete wash. Power washing is the best way to take your driveway back to its early days of liveliness and colour. While normal washing reduces buildup of dirt and dust, power washing eliminates the dirt from the root surface. It also helps you to get rid of mold and algea substances. If you are looking for the perfect and complete solution for your yard to be presentable, look no further. Jim’s Mowing is here to help you out with a range of paint preparation and wood restoration services in Vancouver, one of which is the professional power washing Vancouver service. Our professionals will reach your doorstep with the most environmentally friendly chemicals and equipment that are highly beneficial in doing away with the dirt that stains your gutters or fences, making it look ugly. So here’s your chance to ‘upgrade’ to a cleaner and new looking yard. To use our power washing British Columbia services, just give us a call and we will be ready to arrive at your convenience. We will take care of all the garden care needs that you might have, and not just power washing. However, if you are particularly looking for power washing services, Jim’s Mowing is the one! Jim’s Mowing also specialize in lawn maintenance, gardening, hedges & pruning, landscaping, fertilizing, rubbish removal and more!